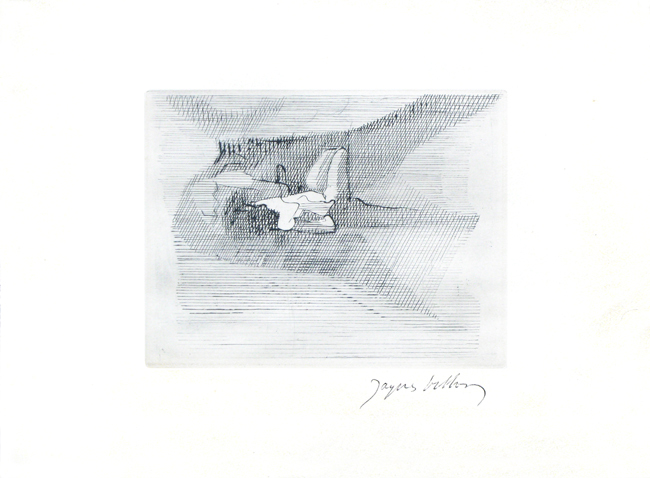 Print of interpretation (Fiorini) after a drawing by Jacques Villon, etching signed in ink by the artist, realized for the book "Dents de lait, dents de loup". Ed. Pierre de Tartas, Paris.